Zantac is a drug used to relieve GORD and related symptoms, such as heartburn. It is made by GlaxoSmithKline and available in two forms. It isn’t always convenient picking up your prescription in person, then having to queue at the chemist. That’s why we’ve tailored our service here at Treated.com, so that you can get your repeat prescription treatment delivered to your home. This tablet contains 150mg of ranitidine. For the treatment of heartburn, it is typically taken twice a day. In this tablet is 300mg of ranitidine, which may be prescribed if a weaker dose has not been effective in relieving symptoms. The syrup is taken in 5ml spoonfuls, two in the morning and two in the evening, to treat heartburn. This may be adjusted to accommodate more severe cases. Zantac is a drug used in the treatment of GORD, which can induce symptoms such as heartburn, acid reflux reaching the mouth and throat, and feelings of discomfort when swallowing. It works by inhibiting the production of acid in the stomach. GlaxoSmithKline produce Zantac, which is available to buy in the UK as a standard tablet, or a syrup. Heartburn is a sensation which many people will only experience occasionally. It is characterised by feelings of pain, or ‘burning’ in the chest, and is usually a result of gastroesophageal reflux disease, or GORD. This occurs when acid escapes from the stomach, travelling upwards into the oesophagus. The oesophageal sphincter is a collection of muscles located at the base of the food pipe. These muscles open to let food into the stomach, and contract again afterwards to seal in stomach acids. In certain cases, however, these muscles may be unable to close, due to increased pressure. This might be due to several reasons. It can happen if the stomach is too full. But it can also occur persistently in those who are overweight, have a high-fat diet, drink a lot of alcohol, or smoke. Reducing the effect of the above on the body, by altering dietary habits and curbing toxin-intake, can help to decrease the likelihood of acid reflux and heartburn. However, those, who experience symptoms on a frequent basis should seek treatment, as complications can sometimes manifest if the condition is serious enough, and left untreated. The main ingredient in Zantac is a drug called ranitidine, which is a H2-receptor agonist. Acid is produced when histamine binds to these receptors, which are found in the stomach lining. These acids can then rise up to the gullet and cause heartburn. Ranitidine interrupts this connection by blocking histamine, thereby reducing the amount of acid made, and preventing heartburn. It’s never been easier to buy Zantac online with our repeat prescription service. Simply fill in our health assessment, and one of our registered practitioners will review your order. Following approval, your medication will be dispensed at our UK pharmacy and shipped within one working day, direct to your door. Prior to the use of this treatment, make sure you are clear on your prescriber’s directions, and that you have read and understood the instructions in the patient information leaflet. This is essential in maximising this product’s efficiency and reducing the likelihood of side effects. For the standard tablet: the recommended starting dose in most cases is one 150mg tablet, twice per day for a specified period. For those who have severe symptoms or have not found the lower dose to be effective, a higher dose may be prescribed. Doses should be spread apart, ideally by a 12-hour gap. For the syrup: in most instances, the recommended initiation dose will be two 5ml spoonfuls, twice a day. Again, a doctor may adjust this if oesophageal damage is present, or symptoms have not been sufficiently treated by the lower dose. These doses should ideally be taken at 12-hour intervals. If being used in conjunction with antibiotics to treat an infection or an ulcer, the dose may be different. If you forget to take it, you can do so when you remember as long as your next administration is not due. If it is, skip the dose you have missed and carry on the treatment as normal. Do not take double the amount in one sitting to compensate. The above is intended only as a guide. More detailed directions can be located in the leaflet supplied. It is crucial to be aware of the side effects associated with this item, as some may require immediate attention from a medical professional. Tell your doctor right away if you experience any signs indicative of: an allergic reaction; kidney problems; changes in heartbeat; or pancreatitis. More information on what these signs may look like can be found in the accompanying leaflet. Stomach pain, constipation or feeling or being sick. Skin rash, or changes to liver function. Changes in levels of blood cells, bruising, mood swings, hallucinations, dizziness, headache, sight problems, pain or swelling in the joints, hepatitis, alopecia, diarrhoea, impotence, or male breast tenderness or enlargement. The above is not a complete list of side effects. Refer to the leaflet provided for more, and inform your doctor at your next consultation if you notice any of the above during use. diazepam; phenytoin; theophylline; warfarin; glipizide; atazanavir or delavirdine; gefitinib; ketoconazole; or triazolam. It may not be suitable for persons over 65, or with a history of: stomach cancer, kidney problems; acute porphyria; sugar or alcohol intolerance; lung disease; diabetes; or any conditions affecting the immune system. Check with your doctor before using Zantac if you are pregnant, breastfeeding, or trying for a baby. In such cases, you should only use this treatment if your doctor deems it absolutely necessary. It is not advisable to consume large amounts of alcohol during use, as this can cause symptoms of heartburn to be exacerbated. Yes, provided you do not get any side effects which could make doing so dangerous. If you do, refrain from driving and tell your doctor immediately. Only use this treatment during pregnancy or breastfeeding if your doctor thinks you absolutely need it. Store below 25°C. Once opened, the syrup should be used within one month. Contained in Zantac tablets are the following ingredients: ranitidine, microcrystalline cellulose (E460), magnesium stearate (E470b), methylhydroxypropyl cellulose (E464), titanium dioxide (E171), triacetin (E1518) and croscarmellose sodium. The syrup consists of: ranitidine, hydroxypropyl methylcellulose, ethanol, propyl hydroxybenzoate, butyl hydroxybenzoate, potassium dihydrogen, orthophosphate, disodium hydrogen orthophosphate, sodium chloride, saccharin sodium, sorbitol solution, mint flavour, and purified water. Do not take the above if you are allergic to any of their components. 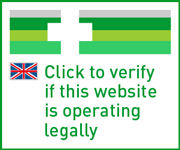 You will need a prescription in order to be able to buy Zantac from any UK pharmacy. Take our simple questionnaire today and if your treatment is suitable for you, our doctor will draw up an electronic prescription and send this to our dispensing team. Talk to your doctor if you think you may have heartburn. Your GP will initiate a prescription for this item if suitable, following a consultation in person. It doesn’t take long to find out whether you can renew your treatment with our UK pharmacy. Simply put aside a couple of minutes to complete our health assessment, and your order will be carefully screened by one of our qualified physicians. Following approval, orders are shipped by 24-hour parcel.